The Skoda Kodiaq is available in one variant and four colors. Check out Skoda Kodiaq prices, specifications, colours, and mileage. Our detailed Skoda Kodiaq comparison helps you compare the luxury SUV with its competitors. 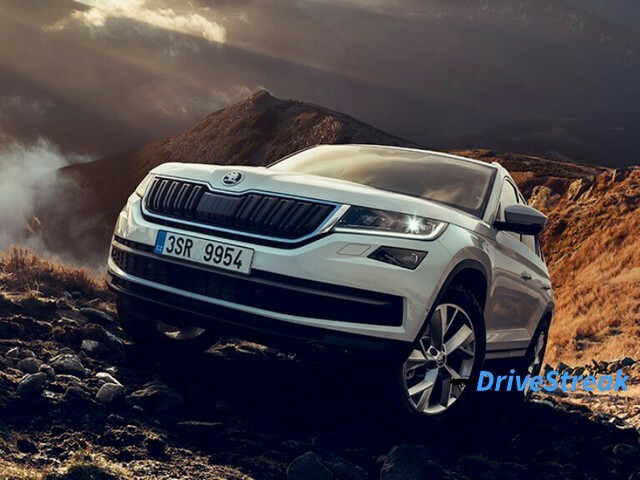 DriveStreak brings you all the information about Skoda Kodiaq to help you make the right buying decision. Skoda Kodiaq price in India starts at Rs. 34,83,995 lakhs. The Kodiaq is a full-sized luxury SUV from Czech auto giant Skoda. Based on the latest platform architecture (MQB), it liberates a lot of space on the inside. The Kodiaq is one of the longest vehicles in its segment and features a conservative design just like all Skoda models. It looks quite sophisticated and comes loaded with a ton of features. The Skoda Kodiaq is the most expensive product in the company`s portfolio in the domestic market. Some of the key features the Skoda Kodiaq comes equipped with are – LED headlight’s, LED interior lighting, Dynamic stability control and Alcantara upholstery to name a few. The Skoda Kodiaq is powered by a 2.0 litre turbo-charged oil burner which is available in two states of tune – a 150 PS unit which develops 147 BHP of power and 430 Nm of torque and a 190 PS version which produces 187 BHP and 400 Nm of twisting force. Both the units are paired to a 7-speed DSG automatic transmission, while the smaller 150PS unit gets an optional 6-speed manual gearbox. On tape the Kodiaq measures 4697 mm in length, a882 mm in width, 1676 mm in height and it has a wheelbase of 2791 mm. It has a ground clearance of 187 mm. The SUV has a kerb weight of 1799 kg and 270 liters of boot space. Braking duties are performed by ventilated discs at the front and rear. The Kodiaq gets McPherson suspension with Lower Triangular Links And Torsion Stabiliser at the front and Multi-element Axle, with one longitudinal and three transverse links, with torsion stabilizer at the rear. The Skoda Kodiaq is available in four colors – Grey, Blue, Black and White. 1. What engine specifications does the Skoda Kodiaq come with? The Skoda Kodiaq comes in two variants. Both the variants are powered by a 1968cc, four cylinder diesel engine that produces 340 Nm of peak torque at 1750-3000 rpm and 148 bhp of max power between 3500 – 4000 rpm. 2. What is the fuel tank capacity and mileage of Skoda Kodiaq? It all depends on the driving style and road conditions, traffic, maintenance, usage of brakes and regular servicing of the SUV. The Style 4X4 and Lauri & Klement trims have a 63 litre fuel tank capaity. The Kodiaq delivers a fuel efficiency of 16.25 kmpl. 3. What is the boot space and seating capacity of this car? The Kodiaq is a luxury SUV which can seat seven passengers in comfort. It has a boot space of 270 litres. It offers loads of legroom, shoulder space and headroom. 4. What are the safety and security features available in this SUV from Skoda? The Style 4X4 and Lauri & Klement variants of the Skoda Kodiaq get top notch security features like ABS, EBD, driver side airbag, passenger side airbag and side airbags, hill assist, central locking, child safety lock, engine immobilizer, rain sensing wipers, rear wiper, automatic headlight ON, traction control and much more. 5. How many colours does SKODA offer for the Kodiaq? The SUV comes in four enticing colours – Moon White, Magic Black, Quartz Grey and Lava Blue. The most sought after colours are Quartz Grey and Lava Blue as the car looks stunning in both these colours. 6. 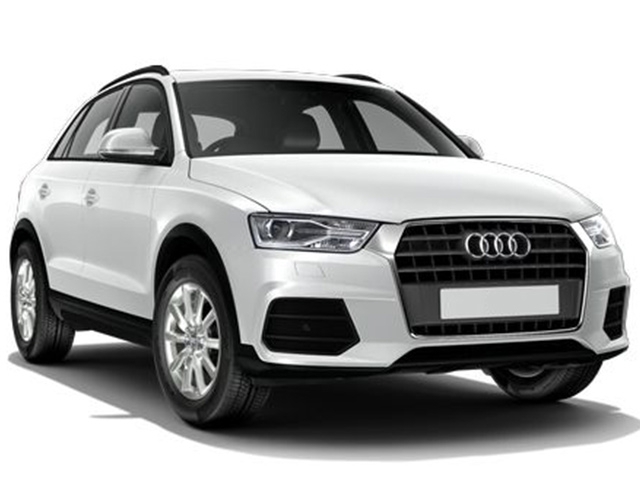 How many variants of Kodiaq are available? The Skoda Kodiaq can be bought in two variants in India. One is the style 2.0L 4X4, while the second variant is the range topping Laurin & Klement 2.0 L TDI AT. 7. Which vehicle category does the Kodiaq fall under? Who are its competitors? The Skoda Kodiaq is an SUV (Sports Utility Vehicle). It directly competes with the likes of the Ford Endeavour, Toyota Fortuner, BMW X1 and the Audi Q3. 8. How many types of transmission systems are available? 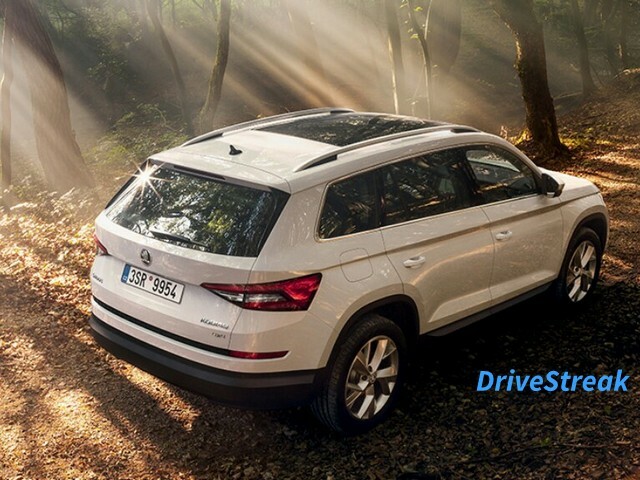 This SUV from Skoda is available with only an Automatic Transmission. This is a DSG unit with a seven-speed gearbox with paddle shifters and a four wheel drive system. 9. What is the service interval and how often should I get my Kodiaq serviced? We strongly recommend all customers to follow the service manual provided by the car manufacturer. 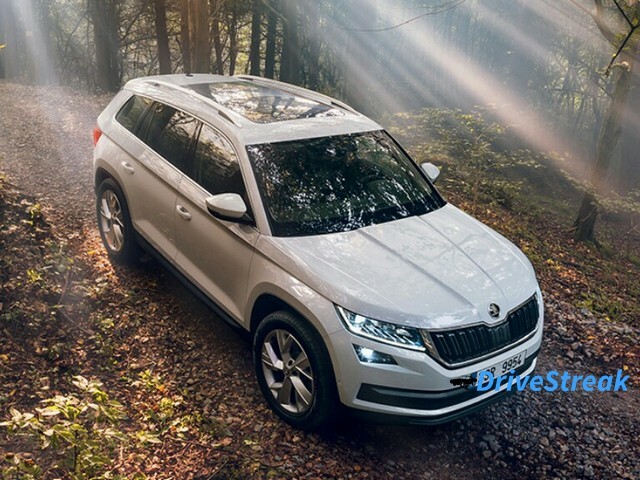 The Kodiaq is a four-wheel drive SUV and if you go off-roading and on long drives frequently you need get it serviced at regular intervals as specified by Skoda. The first service is generally free and is due after the vehicle has covered 1000 kms or after 30 days whichever comes earlier from the date of delivery. 10. What are some of the unique features the Kodiaq has on offer? The car is feature packed and comes with unique features like paddle shifts, keyless entry, cruise control, push button start, rear parking sensors and camera, height adjustable driver`s seat, armrests for front and rear seats, tablet holder, steering mounted control for infotainemnt system, 9-inch touchscreen, 12 V power outlets and much more. 11. What is the top speed and how are the acceleration figures? This SUV has a powerful engine and 0-100 kmph is attained in 10.1 seconds. It can reach a top speed of 200 kmph.